How to Prepare for a Mechanical Reasoning Test? A mechanical reasoning test exists because not everyone has the aptitude for working with machines. Some people have a natural knack for understanding physical objects. Others, however, tend to remain hopeless even with careful study. A job that requires working with equipment and technology, therefore, needs serious screening, unless the company wants to be stuck with someone without a clue. 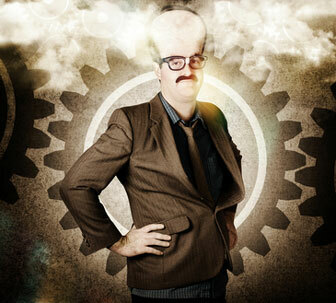 In all this, you may be wondering: what on earth is “mechanical reasoning”? The term may seem paradoxical at first, as it seems to deal with both things and mental concepts at the same time, but this is what mechanical reasoning is all about. It is the application of physical principles to mechanical problems, the use of logic to find solutions for issues involving machinery. 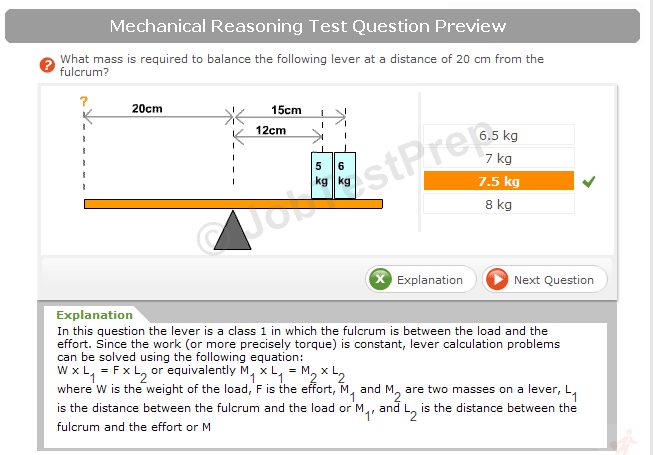 Unlike other kinds of aptitude tests, you will not pass a mechanical reasoning test without prior knowledge of physics. It includes the understanding of how levers and pulleys work, how gears and springs go together, how screws and bolts should look like, and how elaborate and straightforward electrical set-ups can be made. It requires know-how on the theory involving effort, distance, weight, load, and resistance. It requires visio-spatial aptitude, or the ability to make mental representations of objects and then manipulate the image that is in one’s head. It involves being able to track cause-and-effect relationships. It means computation of shop arithmetic. Which tool is most suitable for X task? How many switches are needed to light a bulb in a given circuit system? Wheel A rotates counter-clockwise at a speed of 12 rpm. How does it affect the other wheels it’s connected to? What is the weight of X load if a force of y lbs is needed to lift it? Where should you place the lever to balance weight A and weight B? As you can see, they are questions that can’t be answered without having to review, which is why advanced preparation is imperative for anyone who is about to take this exam. First, study the drawings carefully. In general, questions on a mechanical reasoning test are accompanied by pictures, graphs, statistics and other illustrations related to the problem. Study them carefully as they provide clues on how you can approach the presented situation. The issue may seem straightforward at first, but a drawing can show that the set-up is complex. Second, study industry-specific machinery if you’re applying for a specific job. If the aptitude test that you are taking is for job placement, then you can expect that the questions would veer towards machinery you’re likely to use. For example, expect printing machines if you’re applying for a job in a printing factory. In this regard, it wouldn’t hurt to ask ahead of time what you can review in anticipation of the assessment. Some complex machines take time to master, and fair warning is something always appreciated. These types of tests are also optimized in their time span. The most prolonged tests typically only take 30 minutes. The advantage to this is that you do not have to worry about becoming tired of answering questions during the test. Test anxiety is also minimal since frankly, you either know how to work on machines, or you do not. Many people have trouble taking tests, and the short test times, as well as a few questions (typically less than fifty), means that you will be done with the test before you start to worry about your score. Scoring on mechanical comprehension tests is rather straightforward as well, all of your correct answers are added together to give you a primary raw score. Later, the employer can then compare your score with the average scores of most people in the position in which you desire. 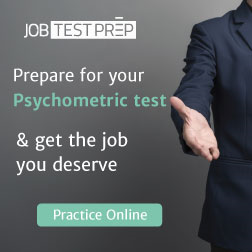 In some states, an employer is required to tell you your final score on the test, and also answer any questions you might have about the mechanical comprehension test that you took.